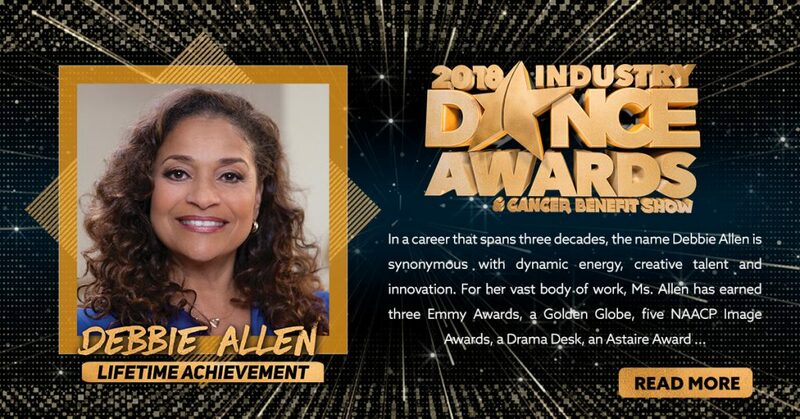 Debbie Allen, a BFA graduate of Howard University in Theater and Classical Greek Studies is an award-winning director/choreographer who has choreographed the Academy Awards a record ten times. She has directed and choreographed for legendary artists such as Michael Jackson, Mariah Carey, James Earl Jones, Phylicia Rashad, Janet Jackson, Whitney Houston, Gwen Verdon, Lena Horne, and Sammy Davis, Jr.
Ms. Allen received the Golden Globe for her role as Lydia Grant in the 1980s hit series Fame, and is a three-time Emmy Award winner in Choreography for the series Fame and The Motown 25th. Awarded ten Image Awards as director, actress, choreographer and producer for Fame, A Different World, Motown 25th, The Academy Awards, The Debbie Allen Special and Amistad, she has also directed the best that Network TV offers, including Scandal, How To Get Away With Murder, Jane The Virgin, Empire and currently serves as directing Executive Producer of Grey’s Anatomy where she also holds a recurring role as Catherine Avery. In 2001, she founded the non-profit Debbie Allen Dance Academy in Los Angeles. The school’s mission is to fill a void for youth who have an interest in learning dance and performance technique. A native of Houston, Texas, she is the daughter of Vivian Ayers and Dr. Andrew A. Allen. She is daughter of Vivian Ayers and Dr. Andrew Allen, wife to NBA All-Star Norman Nixon and mother of Vivian and Thump.